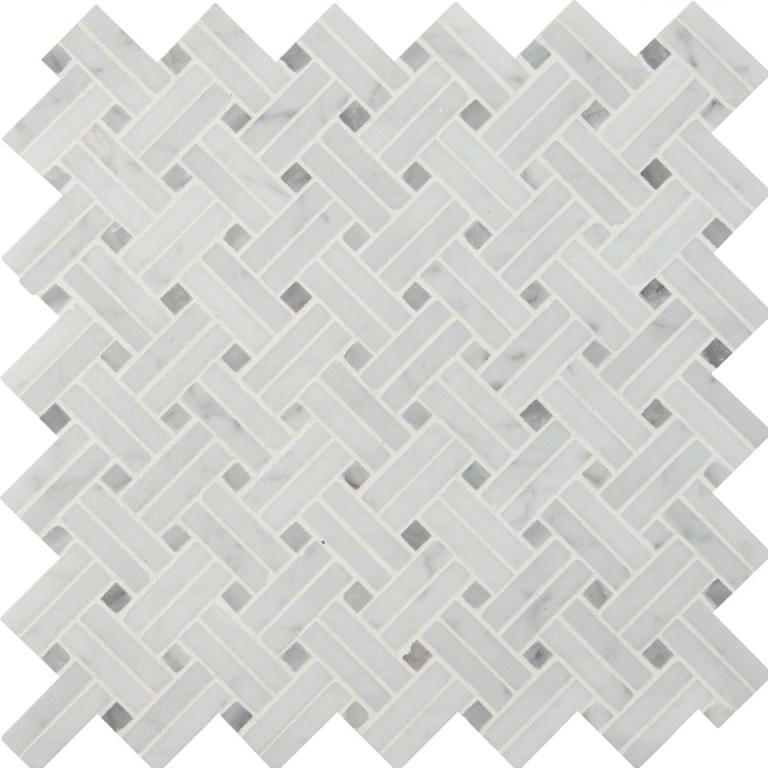 Carrara White Linear 12x12 Polished Basketweave Mosaic tiles are backed by mesh and feature the whites and grays of class Cararra with stunning black accents. Projects recommended for these beautiful tiles include flooring and walls. Beautiful product at a great price.